You are currently browsing the archives for the tag 'hiking shoes'. Those shoes are dope. 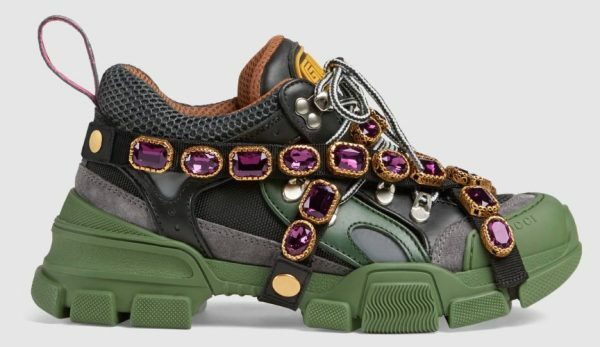 Finally I feel like hiking gets more fun with GUCCI‘s new FLASHTREK SNEAKER. 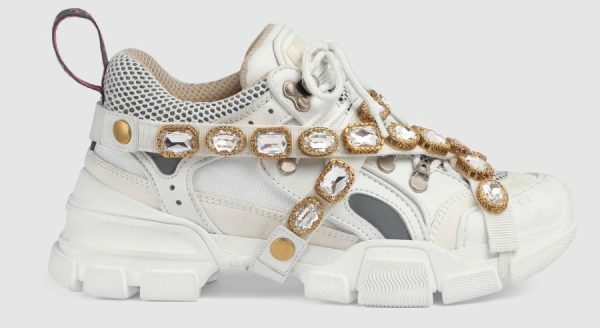 Sparkling crystals are embroidered onto a removable elastic strap, wrapping around the sneakers and resulting in an amazing effect. 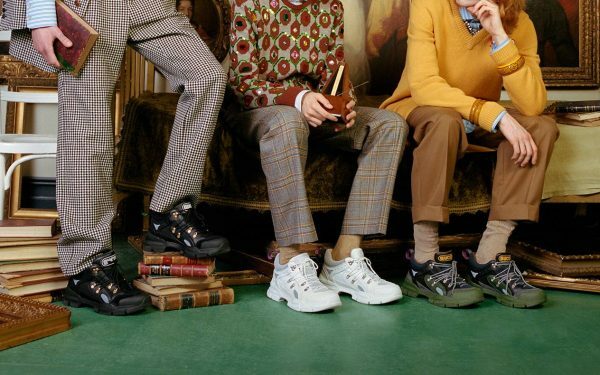 Inspired by the hiking world, this shoe line combines an oversize design with dream-like details. Featuring a vibrant mix of leathers in different colors, the accessory is defined by the Gucci patch with the graphic font of SEGA – a fixture in the colorful arcades and coin-op game rooms of the ’80s. 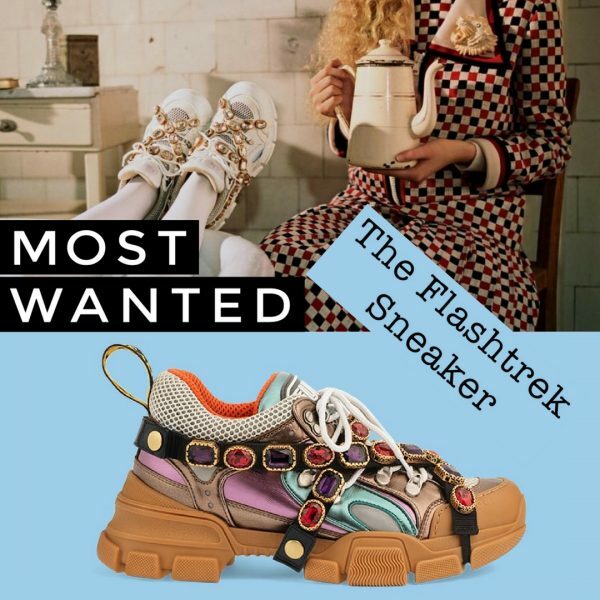 TO SHOP THE NEW GUCCI FLASHTREK SNEAKERS ONLINE, CLICK HERE PLEASE. Also available for men HERE (with less sparkle see photo below).